Our skill-based swim stages are designed for children to learn at their own pace. Advancing to the next level is dependent on the child's completion of required skills. Our goal is to help teach people of all age groups how to enjoy the water safely and how to stay safe in the event of an emergency, as well as provide opportunities to teach and demonstrate the four core values of caring, honesty, respect, and responsibility. Are you unsure what level swim lessons your child needs? Stop by the Y to schedule a FREE swim assessment, given by a qualified swim instructor. For the complete list of classes being offered and applicable fees, view the current Program Guide. Download these documents to learn more. All lessons are 30 minutes. In stages 1-3, our certified swim instructors facilitate activities that focus on building confidence in the water, instilling good water safety habits and personal growth. In stages 4-6, instructors help swimmers build confidence in deep water as well as work on stroke techniques. And swim stages A and B give our youngest friends, infants and toddlers, an opportunity to get comfortable in the water with a parent or guardian. 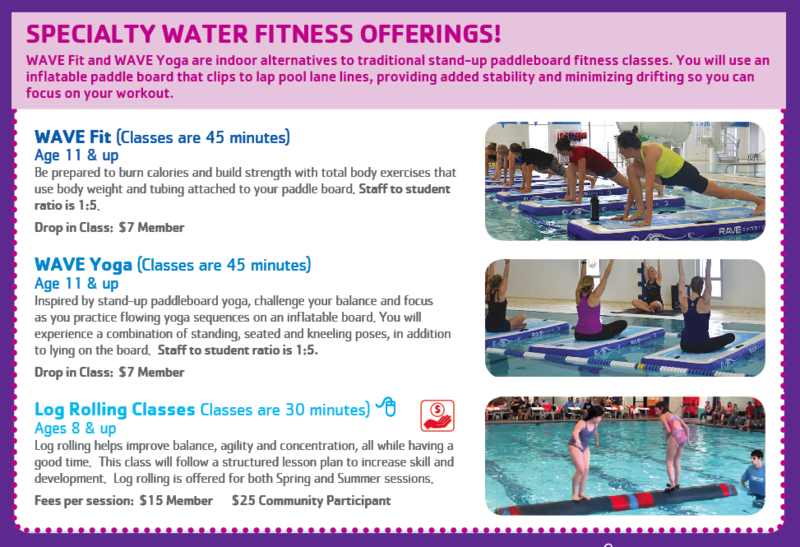 View the free water fitness classes offered on the pool schedules, on our Schedules page. Private lessons are with one-on-one instruction. Semi-private staff to student ratio is 1:2. Lessons are 30 minutes and are scheduled by you and the instructor. This class encourages participants to use their physical attributes to the best of their abilities while enhancing their spirits and minds with positive reinforcement. All ages welcome. Classes are 30 minutes. As part of the Fond du Lac Family YMCA Child Care Program, swimming lessons are offered to children. For more information on class sessions, view the current Program Guide.